Key Performance Indicators (KPIs) are the most important business metrics for your particular organization. They’re your chief ways of establishing what your business needs to achieve, and measuring whether you’re on track to achieve it. A KPI dashboard takes this a step further by bringing all your KPIs together in one place. You can see how you’re performing on each different measurement, side by side. So far, so straightforward. But, of course, no metric operates in isolation. Your KPIs overlap and influence each other. Displaying these alongside each other helps you see instantly which goals are being met at the expense of others. You can start to play around with adjusting targets and policies, in order to be more effective overall. Typically, too, businesses divide their KPIs into ‘high level’ and ‘low level’ KPIs. These are, respectively, the big, overarching goals of the organization and narrower, departmental or individual targets. The great thing about having these laid out on a dashboard is that you can see how the smaller goals flow into the bigger ones. You get an instant snapshot of which areas are on target and how this impacts on the company’s overall performance. In turn, this can help you identify where problem areas are forming, as well as giving insights that help you hone your targets and business strategies to meet high-level KPIs. For example, let’s imagine that your company wants to increase its yearly profits by 10%. Meanwhile, you’ve told your sales team that they’re expected to hit, say, 30 sales of a new product a month. Most of your team are hitting their targets, but profits are stagnating. When you take a look at your KPI dashboard & KPI tracking, you see that renewal rates are falling, eating into your profits. You realize your team is too focused on new sales at the expense of nurturing relationships with existing customers, so you play around with your KPIs to place more emphasis on securing renewals than bringing in new clients. 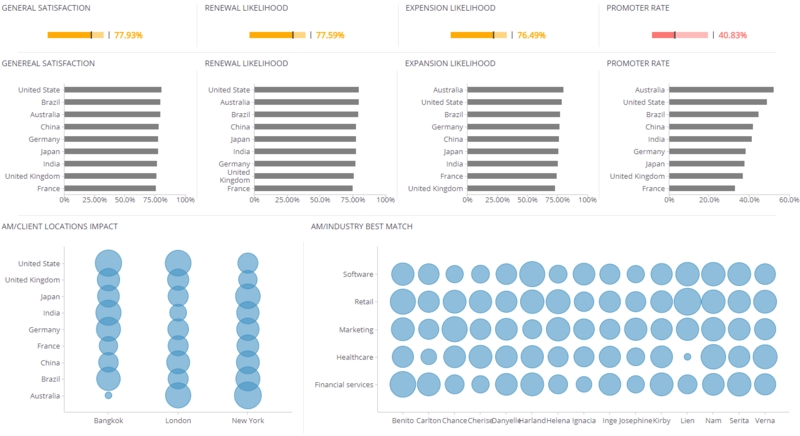 You can check out some more of these different BI dashboard examples for some inspiration, or check out our financial KPIs and marketing KPIs. 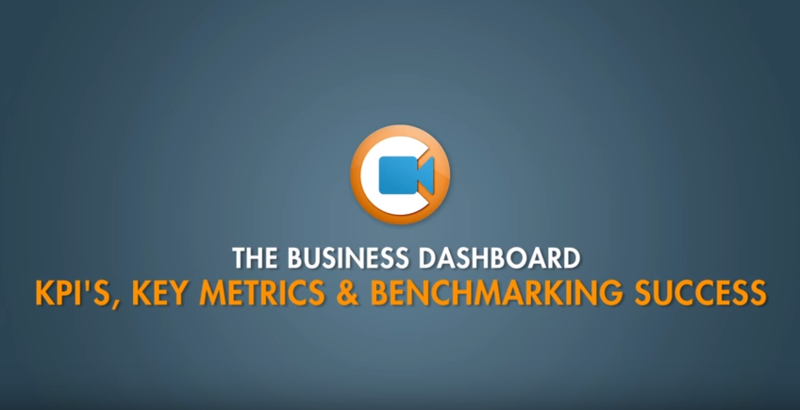 What Does a KPI Dashboard Look Like? Depending on the dashboard software you choose, you could opt to include a huge range of KPIs, from net profit, revenue growth, and churn rate, through to your ability to keep projects on time and on budget, how much revenue you earn per customer, or how much you spend onboarding each new client. You can also adapt your dashboard to the user’s position. For example, your CEO’s KPI dashboard might well be laid out very differently to that of an IT project manager or a marketing executive, according to the insights most pertinent to their role.